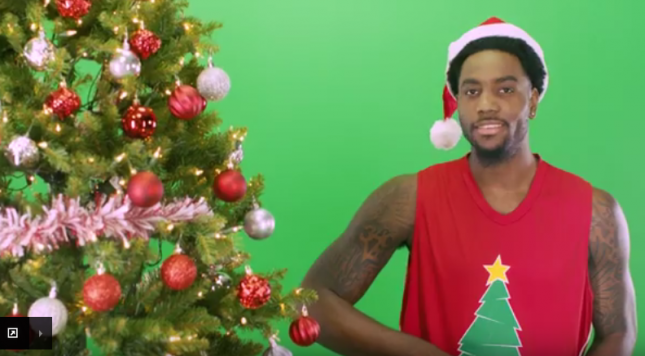 Former Syracuse basketball and current NBA Indian Pacer Rakeem Christmas finally landed his own Christmas themed commercial. It’s so obviously fitting that it’s almost surprising it took this long for him to finally land a Christmas commercial gig. As long as it’s technologically sound, I don’t see the harm in having a Christmas tree that can move up and down. I mean really, why not? So if for whatever reason you may need a Christmas tree that can move up and down with the flip of a switch, ExtendoTree is the solution you are looking for. Whether you have too many large gifts or a huge house with excessively high ceilings, Rakeem Christmas has discovered the answer everyone is looking for this holiday season.